Please note: This event is sold out but will be livestreamed via Town Hall Seattle's website and on YouTube. 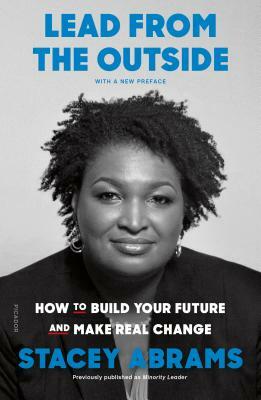 This entry a marker for an evening that was barely posted on Town Hall Seattle’s website but that it sold out: former Georgia State Representative, recent Georgia gubernatorial candidate, and rising national political figure Stacey Abrams, here to talk on the occasion of the paperback edition of her book, Lead from the Outside (Picador). Published a year ago as Minority Leader, this is a book on where we have been, and where we should be heading, as articulated by one we should be heeding. Co-presented by TOWN HALL SEATTLE, the NORTHWEST AFRICAN AMERICAN MUSEUM, and ELLIOTT BAY BOOK COMPANY. Tickets are SOLD OUT, but Town Hall Seattle will have a limited number of $5 tickets available at the door as well as a standby line. Doors at 6PM. Please arrive early to allow time for extra security.